Solid Free-Form Fabrication (SFF) technologies allow the fabrication of anatomical 3D scaffolds from computer tomography (CT) or magnetic resonance imaging (MRI) patients’ dataset. These structures can be designed and fabricated with a variable, interconnected and accessible porous network, resulting in modulable mechanical properties, permeability, and architecture that can be tailored to mimic a specific tissue to replace or regenerate. In this study, we evaluated whether anatomical meniscal 3D scaffolds with matching mechanical properties and architecture are beneficial for meniscus replacement as compared to meniscectomy. After acquiring CT and MRI of porcine menisci, 3D fiber-deposited (3DF) scaffolds were fabricated with different architectures by varying the deposition pattern of the fibers comprising the final structure. The mechanical behaviour of 3DF scaffolds with different architectures and of porcine menisci was measured by static and dynamic mechanical analysis and the effect of these tissue engineering templates on articular cartilage was assessed by finite element analysis (FEA) and compared to healthy conditions or to meniscectomy. Results show that 3DF anatomical menisci scaffolds can be fabricated with pore different architectures and with mechanical properties matching those of natural menisci. FEA predicted a beneficial effect of meniscus replacement with 3D scaffolds in different mechanical loading conditions as compared to meniscectomy. No influence of the internal scaffold architecture was found on articular cartilage damage. Although FEA predictions should be further confirmed by in vitro and in vivo experiments, this study highlights meniscus replacement by SFF anatomical scaffolds as a potential alternative to meniscectomy. 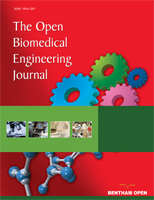 Keywords: Rapid prototyping, Mechanical analysis, Finite element analysis, Scaffolds, Meniscus, Tissue engineering..